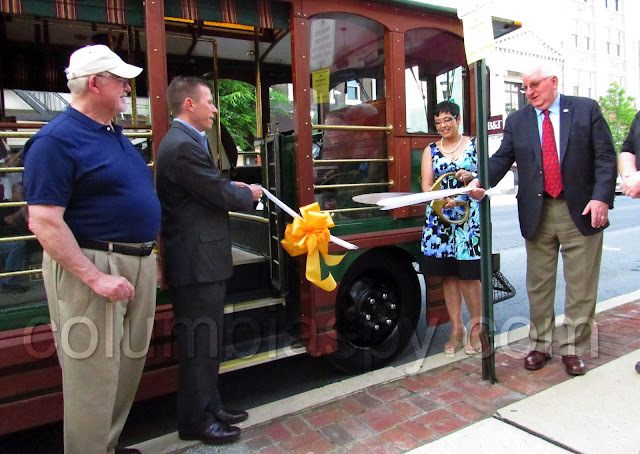 Columbia launched its trolley Wednesday night. More precisely, it began renting the trolley on a trial basis. 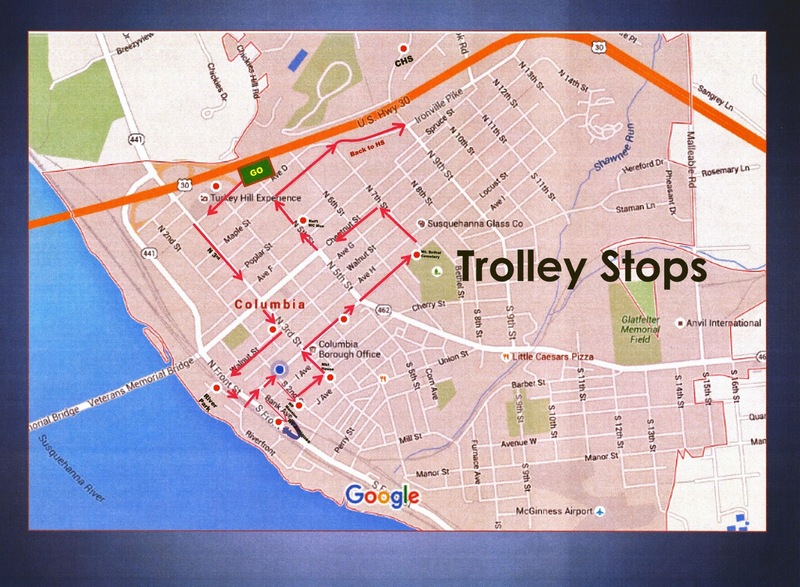 Columbia Borough Council approved the move at its April 11 meeting after a presentation by Daisy Pagan, who is championing the project through the Susquehanna Valley Chamber of Commerce. 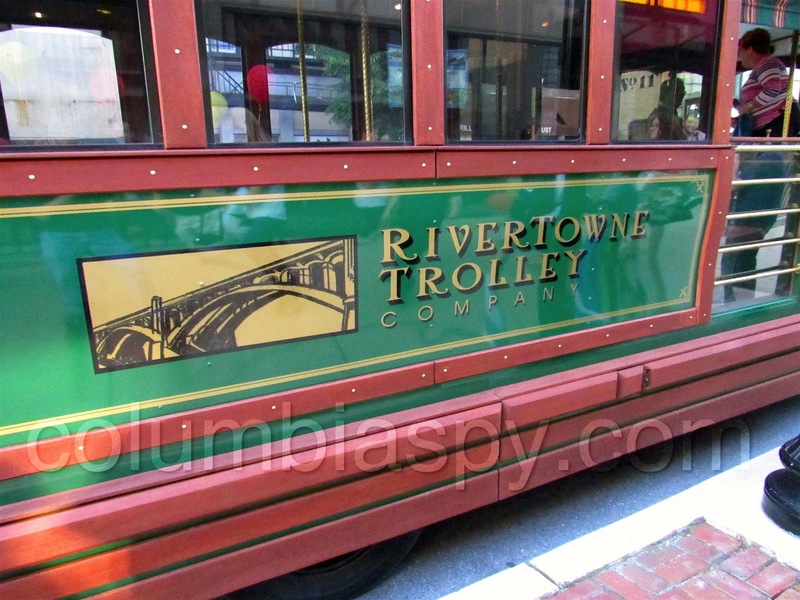 Rivertowne Trolley Company will provide the service with a 24-seat trolley that was recently restored. 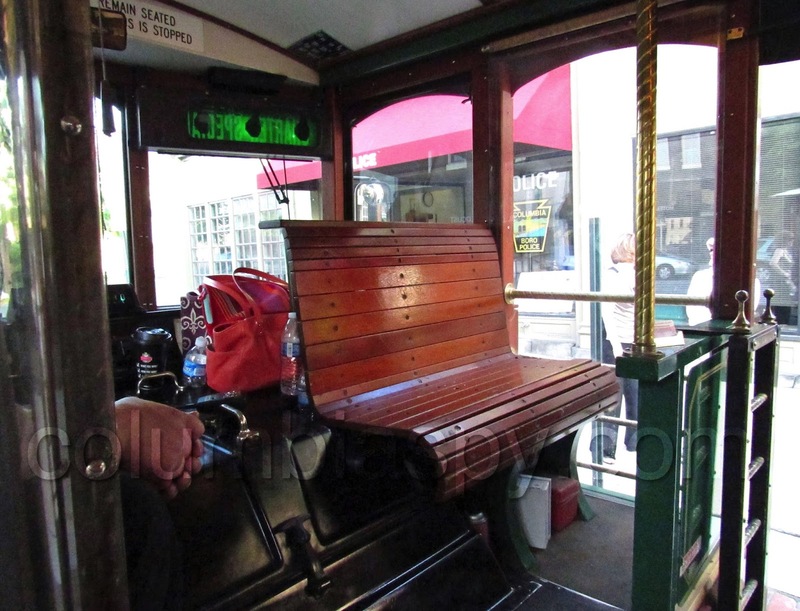 Service will run from Memorial Day weekend (5/26/16) through Labor Day weekend (9/2/16), 10 a.m.-4 p.m. Thursdays and Fridays, and 11 a.m.-4 p.m. Saturdays and Sundays, and as needed for special events, and extended for Fourth Fridays. Daisy Pagan, who spearheaded the project, cuts the ribbon. 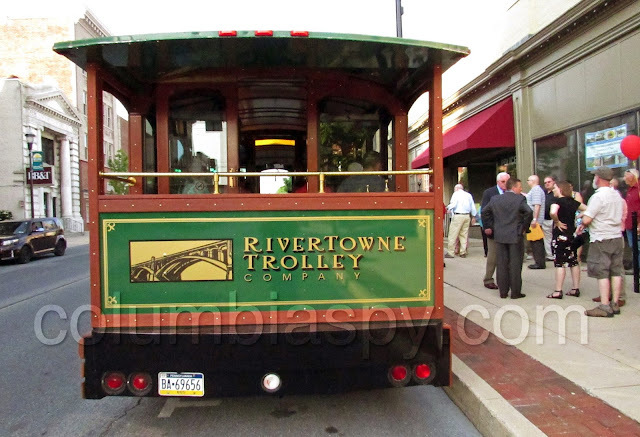 why not go down to Second at the Poplar ( Hobday's Artwork & Co ), take Second to Bridge past Bootleg, show people the new trail that goes up along the new road, then cut on over to and past the River Park, makes no sense ?? Does the driver talk about the history of the town, or is there a recording ? The route should be changed periodically to showcase the whole History of Columbia. Even South Sixth Street, the Jason Home. yes, absolutely !, otherwise it would be showing partiality which would not be fair to the taxpayers !! 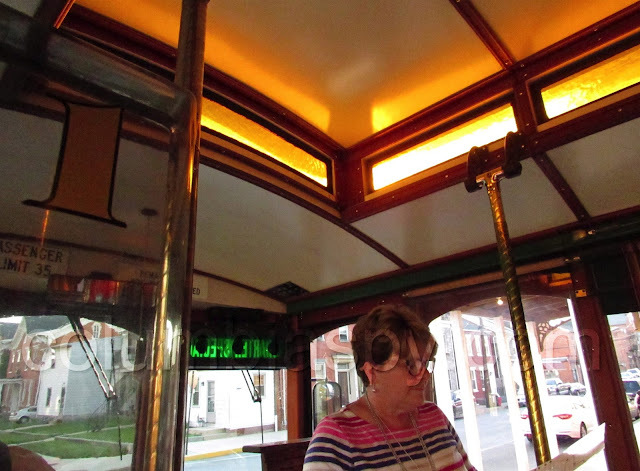 It was a pleasure to write the script for the new Columbia Trolley on behalf of Columbia Borough and Susquehanna Valley Chamber of Commerce. This script was written to be unbiased, and for all businesses, museums and organizations to be mentioned. 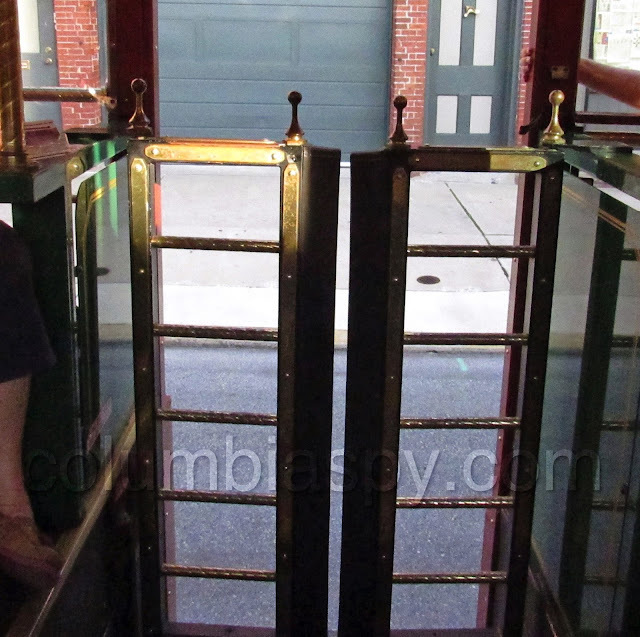 How we we would love to have doorstep service to all businesses, but time restraints for picking up patrons at each stop within 30-40 minutes is crucial. I actually walked this route to ensure all business and historical area(s) and fact(s) in Columbia were installed in this five page script. 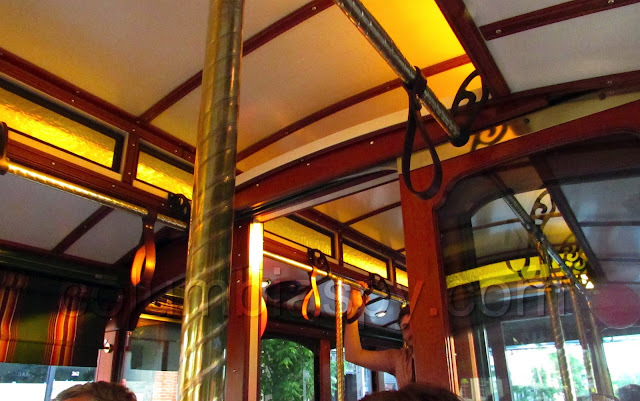 The Volunteer guide(s) will speak on a PA system when the trolley is en-route to the next stop. 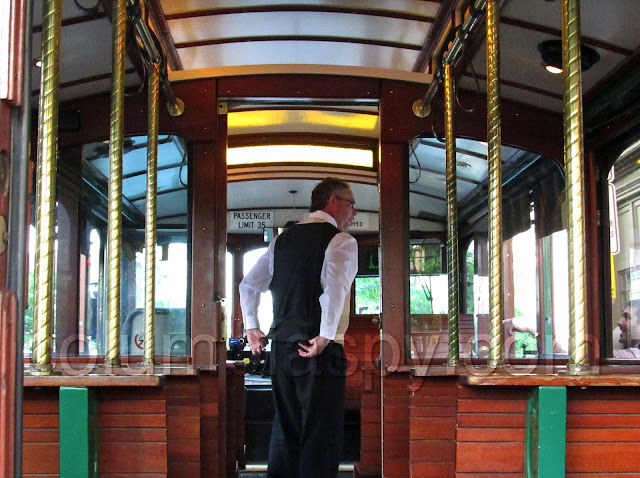 Volunteering on the trolley this past Thursday and several times in the next few weeks. 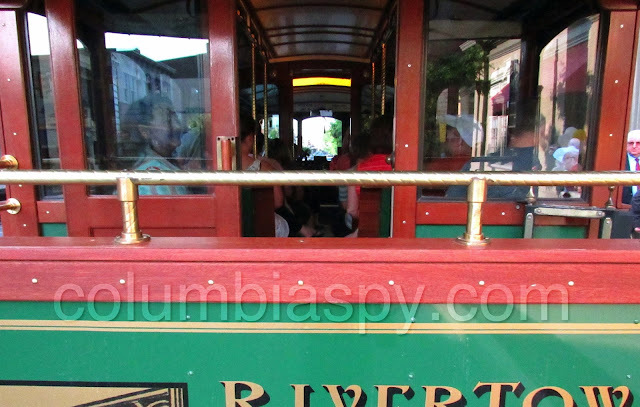 I am doing this for the betterment of Columbia, and to give our citizens and visitors a chance to hear and see what Columbia has to offer. The hard work of Daisy Pagan and Kathleen Hohenadel to accomplish something that takes months of preparation with advertising, coordinating and insurances is very time consuming. 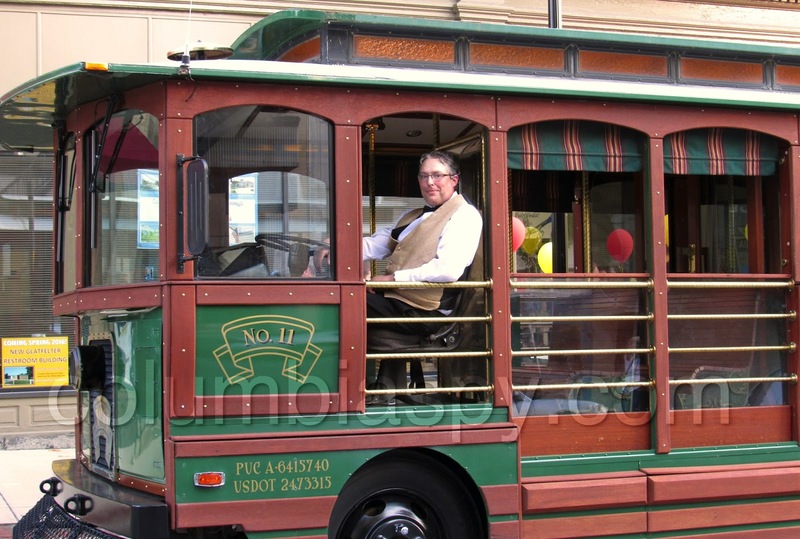 So in closing, I will be on the trolley this Friday, June 3 from 10:30 AM - 4:30 PM. 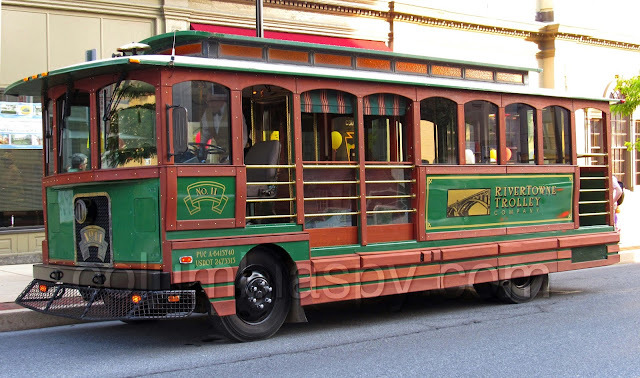 If you would like to take the ride, hop on at any stop with a green trolley sign. 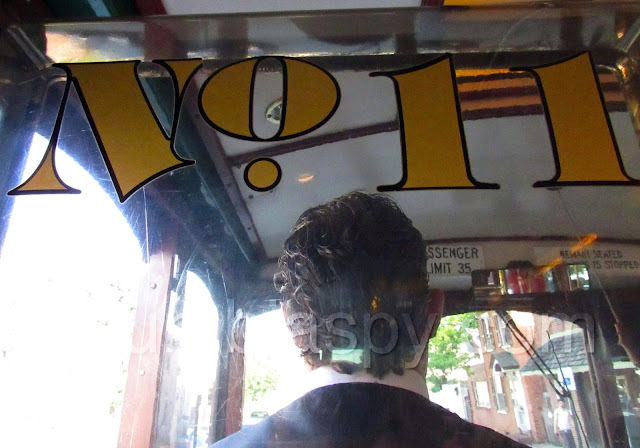 is there any possibility of stopping at green bar so we can catch a ride on up to good times ? Good Job, no matter what Mr. VERA! !! VERA AND PAGAN FOR COUNCIL !! 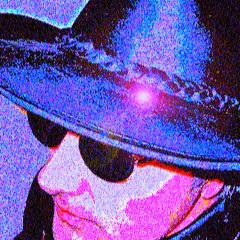 , the voice of the people .